You read that right, this is a mailbag post. It’s the first one in more than a year because, well, we’re awful. I’d really like to start doing them more frequently. Use the form to the right to send us more. You can also email us at thedodgersdigest@gmail.com, or send us tweets @DodgersDigest. This is assuming Clayton Kershaw opts out after the 2018 season and the Dodgers don’t re-sign him. I still don’t see that happening, no matter what the computers say. Sometimes public relations outweighs commons sense/logic. 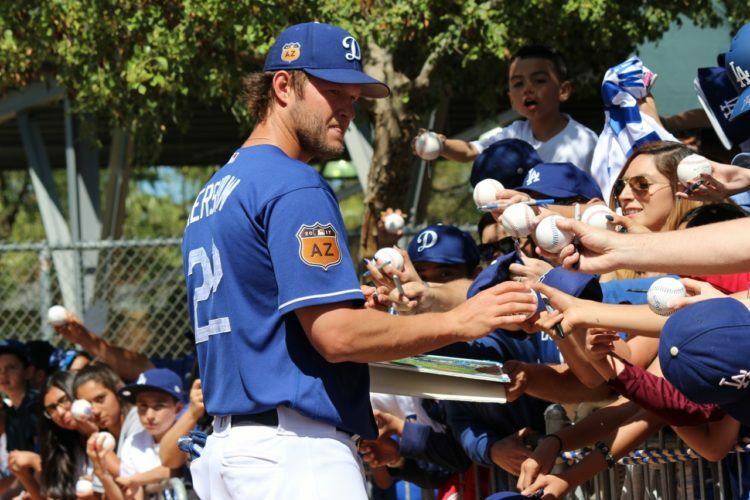 If the Dodgers and the front office want to avoid a PR nightmare, bringing Kershaw back should be priority No. 1 next off-season. Excuse my tangent, now I’ll answer the question. The two best internal options are the ones you mentioned in the question — Walker Buehler and Julio Urias. Buehler will be 24 years old and should have at least a half-season’s worth of innings under his belt. To expect him to step in and be Kershawian at that age with not as much pro experience might be a tad presumptuous. Urias would be a lot more feasible in taking the torch from Kershaw, but his shoulder surgery and pending recovery from it make that a shaky proposition as well. But if Urias comes back and is anything like his former self, he could help to quell the sting of losing Kershaw. Yadier Alvarez exists, but he’s still a couple years away and hasn’t flat-out dominated in the high minors yet. I like Mitchell White more than others, but he’s not going to be that guy in 2019, either. That’s it. There are some other good starters — Gio Gonzalez, Drew Pomeranz, Garrett Richards — but they’re not on Keuchel or Price’s level. If a Kershaw replacement comes from outside the organization, it probably won’t come during the next free agent period. It’ll either be via trade (Chris Archer, Carlos Carrasco, Jacob deGrom, Marcus Stroman) or via free agency this offseason (Yu Darvish). It’d just be a lot easier to give Kershaw whatever he wants. 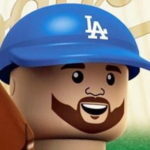 If they don’t, the Dodgers might have a hard time replacing him in the short-term. Feels like we have lost depth at both SP and RP. Do you think the FO makes moves or is primarily relying on organizational depth? None of those guys are irreplaceable — not even Morrow. Meanwhile, they’ve added these guys to the 40-man roster this offseason: Scott Alexander, Dylan Baker, Tom Koehler, Henry Owens and Dennis Santana. Also, Yimi Garcia is coming back after missing 2017 recovering from Tommy John surgery. On the minor-league side, they lost Jeremy Bleich, Eddie Gamboa, Steve Geltz, David Hale, Jair Jurrjens, Justin Masterson and Madison Younginer. I point this out because none of them actually made it to LA last season and none of them are irreplaceable. More like them will come from Double-A and the minor-league free agent pool. A few minor-leaguers with MLB experience they’ve signed this offseason so far include Manny Banuelos, Zach Neal and Pat Venditte. Long story short, I’m not terribly concerned with the loss of pitchers this offseason. There will be more pitchers acquired before the start of Spring Training, and there will also be minor-leaguers who step up in hopes of an MLB role and some guys who didn’t pitch a lot last season (Wilmer Font, Adam Liberatore, Edward Paredes, Brock Stewart) could be up for some extra work (especially Brock Brock). Yellich is unhappy. We have Toles, Verdugo some decent mid level pitching prospects after our top 3, could a deal happen? With the recent news that the Marlins asked for Ronald Acuna (Top 2-3 prospect in the game) from the Braves — which isn’t outlandish — perhaps it might take Buehler to get a deal done. Then again, when you see the returns they got on the Giancarlo Stanton and Marcell Ozuna deals, you gotta think Andrew Friedman and Farhan Zaidi could get the best of Michael Hill. If it doesn’t take Buehler, then you have to think an outfielder or two listed above along with Alvarez and maybe Mitchell White might be the price. It might be worth it, but it’d be a hefty price to pay. why not give Darvish a deal that has a super low 1st year salary and then makes it up over the following 3-4 years? On paper, it’d seem to work, right? The only thing is, the luxury tax number is calculated by average annual value. So, backloading a contract doesn’t have any impact on a player’s tax number (neither does deferment). If the Dodgers signed Darvish to a 5-year, $125 million deal, they’d still be on the hook for $25 million/year, even if they paid him $5 million in the first year of the deal. It’s dumb, but that’s how the Collective Bargaining Agreement is structured. With all the talk of Tony Clark and the MLB Players Association having issues, the negotiations for 2021 is going to be interesting to monitor. That’s it for this edition of the mailbag. Here’s hoping this becomes a little more regular than once a year. Please send us questions!